A few weeks ago, Mavi brought home some homework about clocks and time reading. I knew then that we should at least have a brief discussion about the clock and telling time as it has been years since we had a clock activity. Using my latest clock nomenclature cards and workbooks, we reviewed how to read and write the time, compared the difference between analogue and digital clocks and the relevance of time in our lives. Clock Nomenclature Cards with Borders are from here. You can get the learning clock from here. We then moved on to our workbooks for more practice on writing time. Have I mentioned before that Mavi enjoys using workbooks? Oh yes he does! In addition, I asked him to make a record of his daily routine. Like, what time does he wakes up, eat breakfast, lunch and dinner… till he sleeps. He’s very excited about this! I can’t wait to see that routine record and share it with you. Click this link for your FREE Simple Hour Clock cards. Here are some of the learning materials that we used in our activity, Complete Guide to Insect Study for Grade-Schoolers. You can now download a free copy of the file, I’m sharing it for everyone to enjoy. Welcome to another series of Letter Sound of the Week! Today, I’m going to share our ‘star’ themed activities for learning the letter s sound. Vito really really like seeing stars around the house, and it’s the first shape that he can identify. So while he’s at it, we jumped from letter c to learning letter s! Letter Sound Basket. None this week. All we ever did was look at stars! Painting the letter S. We are exploring different mediums in painting and currently, the boys love the roller paint brushes I got for them last month. So here is Vito painting the letter with a roller brush which he loves to use. As we do the stroke, I would emphasize the word “up” and “down”. I would exaggerate the hand stroke a little bit to demonstrate what does up and down means. And yes, this is also an activity for colour recognition: yellow. Playdough & Star Cookie Cutter. Playdough is a great activity for fine motor skills. Vito is enjoying playdough so far. He likes squeezing and grasping the dough already. We used our star cookie cutter for this. Counting & Gluing. An activity that’s like hitting two birds with one stone. Practise gluing and counting at the same time. What I did here was punch the star shapes and made Vito apply glue on the paper. Then we place the stars according to their number. We then count the stars over and over. These days, Vito loves to count than reciting the letters LOL. He’s like, 2, 2, ,2! Colour Matching. This is a DIY. I printed stars in coloured cardstock papers, laminate then glue them on the popsicle sticks. The bead cubes were from Melissa & Doug Lacing Beads. We matched the stars to the cube by placing them into the hole. I showed Vito how to do it first and then he mimicked my actions. The matching of colours is still a hit or miss, so I’m guessing he couldn’t recognize them yet. Big and Small. A random activity while playing the cookie cutter. I was showed Vito the big star and small star. He wasn't interested at all with this. Now, for this week's feature! Here are my favourites this week, something that we would like to try this summer! Your post will be featured on each of our blogs where we will pick our favourite posts every other week. That means there is more of a chance that you will be featured! This is Vito’s current obsession. These are cotton reels from GALT. We love it to pieces! It’s an inexpensive toy which you can use in soooo many ways! If you’re asking if he can successfully accomplish this on his own, the answer is no. The only thing he can achieve right now is insert the lace in the reel’s hole but he doesn’t know that he has to pull it yet. I love that this activity uses both hands and working together with the eyes. And he always saves the best for last. Using the reels as stacking toys! Now this is something that he’s really good at! More toddler activities coming soon! Essential in practicing the small muscles in the hand. Practiced by younger children to develop skills essential in feeding. Essential in practicing the small muscles in the hand. Practiced by younger children to develop skills essential in feeding. This can be a little bit tricky for smaller children as rice grains are much smaller than the pasta. Essential in practicing the hand and arm muscles. For Developing motor skills as well. To develop the skills in opening and closing different kinds of latches. For hand-eye coordination, concentration and motor skills. Recognition of farm animals, able to match them to the board, develop problem solving skills and enhance memory. Develop hand-eye coordination, dexterity and concentration. To strengthen the small muscles of the hands. Develop shape recognition as well. Develop fine motor skills, encourages the child to use his arms, hands, wrist and pincer grasp to paint on a paper or easel. To develop in-hand manipulation skills. This is the ability to move objects using one hand. Develop hand-eye coordination and concentration when transferring water from one bowl to another. Essential skill in feeding and food serving. Enhance the skill of grasping objects of various sizes and hardness. To improve thumb stability, which is essential in holding things and drawing. Another simple and feasible activity that allows kids to develop their pincer grasp and concentration. To develop the skills of using both hands in a controlled and organized manner. Having a good bilateral coordination will allow both side of the brain to work. Develop hand-eye coordination, and in hand manipulation (allow using of one hand to manipulate object). Practice pincer grasp, a skill that is essential in feeding, pick up small objects, writing, drawing, scissors and more. Chopsticks enhances hand-dominance, pre-handwriting/handwriting skills, and improving pincer grasp in a fun and exciting manner. Associating colors. Develop fine motor skills, encourages the child to use his arms, hands, wrist and pincer grasp to paint on a paper or easel. Color recognition. Develop creativity, artistic skills and hand-eye coordination. Develop creativity, hand-eye coordination, control of hands, pincer grasp and ability to strengthen hands through squeezing. Practice picking up “objects” using fork. Essential in feeding. This also develops hand strength with a pinching activity. Chopsticks enhances hand-dominance, pre-handwriting/handwriting skills, and improving pincer grasp in a fun and exciting manner. Associating colours. Enhances hand-dominance, pre-handwriting/handwriting skills,pincer grasp, hand control and concentration. Skills developed in sticking activities: fine motor skills, sorting skills and creativity. Develop motor skills and concentration as well. If you are looking for more ideas you might want to check the Ultimate Collection of Practical Life Activities (Part Two). We just concluded our study of insects and oh boy, both Mavi and Vito had a wonderful time learning all about these creatures! 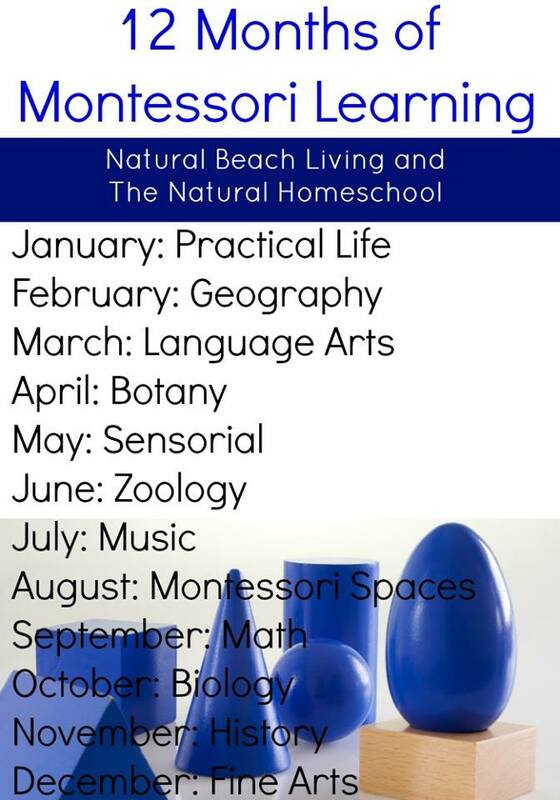 We’re having zoology (animal study) for this month (12 Months of Montessori Series) and I’m going to give you a complete guide on how to study insects with your kids. Start your unit study by learning what is an insect. Put it simply, it is an animal that has 6 legs with segmented bodies. And yes please, spiders are definitely NOT insects. Now for Mavi to have a wider understanding of this subject, I've set up a sorting activity of the 4 major groups of the Arthropods. Since we've done this last year, Mavi has a prior knowledge of the difference between insects and spiders. He got confused with the crab though, if its either arachnids or crustaceans LOL. Initially he placed it in the Arachnids These animal figures were from Safari Toob Insects and Insect Lore. Now after learning about the animals that belong to the insect family, we looked into the life cycles of an insect. Here we talked about the insects that undergo “complete metamorphosis” and those with “incomplete metamorphosis”. Note complete metamorphosis means, it has the stages of: egg-larva-pupa-adult. We also learned about the different parts of an insect. I have a separate post on this one and you read it here or click the image below. I created guides on hunting insects in different habitats. We have insects found in woodlands (in the forest), those found in rivers and lakes, the ones found everywhere and in the meadows/fields. We used these guides as we go “bug hunting”. We were able to catch a few insects like ladybird (escaped from our net after a few hours), this unidentified insect in the outdoor stairs and ants. Vito was fascinated with ants! He also had a separate insect study for toddlers. Thank you so much for taking time to read this post. I hope that I was able to give you enough ideas so you can also jumpstart your own insect study with your kids.